Chris Carlsson and Hugh D’Andrade recently launched sfcriticalmass.org, a new blog documenting the history of San Francisco’s Critical Mass bike ride that happens on the last Friday of each month. Starting in 1992, San Francisco Critical Mass was the first Critical Mass bike event, spawning hundreds of Critical Mass rides around the world. Check out the SF Critical Mass FAQ for more info on the event. 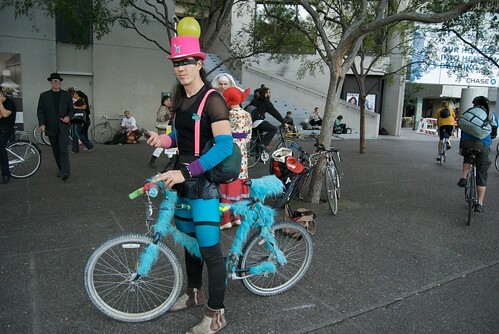 Their most recent post documents last Friday’s October Halloween Critical Mass. Here are more photos of the Halloween ride by Steve Rhodes.